"Originally released in 1971, America is one of the artistic high points of John Faheys career. And yet, for nearly 30 years it was not heard in its entirety, as what was originally intended as a double album was pared down to a single LP. 4 Men With Beards is proud to present the complete America double album, released on vinyl for the first time ever. Fahey himself had this to say about America: "Out of all the songs I ever wrote, I consider only two of them epic or classic or in the great category and they are both on this record." Deluxe gatefold packaging that includes a reproduction of the original illustrated booklet. 180 gram vinyl." - 4 Men With Beards. 180-gram vinyl. "For several years major labels had been issuing records in both mono and stereo formats. By 1967 Takoma was doing well enough financially to justify the recording of Faheys first and second albums for the burgeoning stereo market. Thus Vol.1: Blind Joe Death, as the record would be titled henceforth, was recorded for the third time and it is probably this release that most people are familiar with today. For the new version Fahey recorded all but one song on the album. He recorded one new track for the reissue: “Im Gonna Do All I Can for My Lord.” His new take of the Episcopal hymn “In Christ There Is No East or West” would become the most well-known and oft-played song on the album." - 4 Men With Beards. 180-gram vinyl. "Death Chants is John Faheys second album, following the brilliantly apocryphal Blind Joe Death. As massive as that earlier work was, it represented only a tentative first step towards the fields of hodologic splendor that our hero would go on to create. Death Chants represents a much more fully realized syncretism of the modernist and primitive poles between which Fahey wobbled. It is also the first album he deigned to release entirely under his own name and the one with which he truly began to cast a shadow across the blandly-lit landscape of the worlds subconscious." - 4 Men With Beards. 180-gram vinyl. "Originally released in 1964, Dance of Death offers a glimpse of an artist in transformation. More than half the albums titles draw from the traditional blues and country repertoire Fahey had spent his teen years and young adulthood collecting, listening to, and learning to play, yet the recordings proved once and for all that his interests lay in musical transfigurations rather than preservation -- Fahey was not afraid to use these old tunes as raw material." - 4 Men With Beards. "The Transcendental Waterfall: Guitar Excursions 1962-1967 is a 6-LP box set drawing from John Faheys best, and most influential, period. Included in the set are Blind Joe Death, Death Chants, Breakdowns, And Military Waltzes, The Dance Of Death And Other Plantation Favorites, The Great San Bernardino Birthday Party, The Transfiguration Of Blind Joe Death, and Days Have Gone By, all reissued on 180 gram vinyl with deluxe tip-on jackets. Also included are a t-shirt (size L only), a poster, and a postcard, all of which are housed in a deluxe box. An amazing package featuring some of the most important guitar solo recordings of the 20th century. 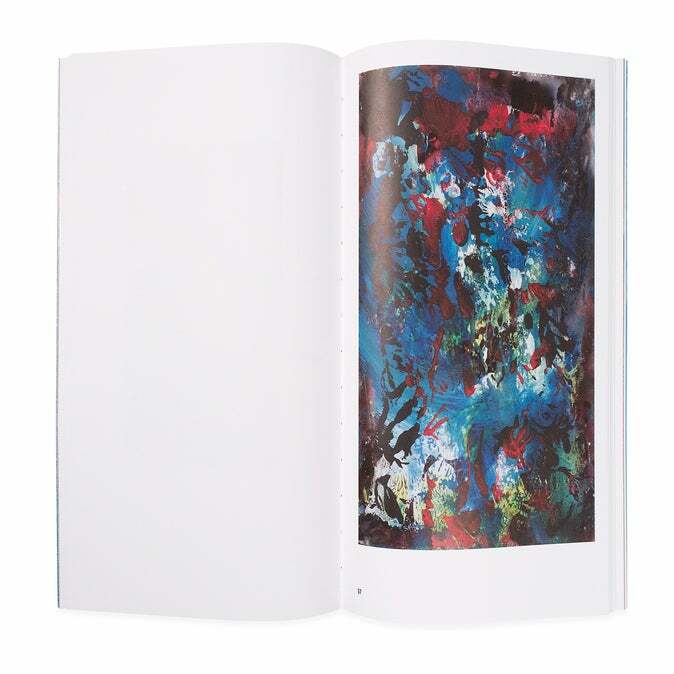 Limited to 2,000 numbered copies." - 4 Men With Beards. "The Voice of the Turtle is one of the most beguiling albums from one of Americas most legendarily beguiling musicians. Originally released in 1968 on his own Takoma label, Fahey credits some of the compositions and performances to the fictional guitarist Blind Joe Death, and some of the songs are actually rumored to not be Fahey at all but in fact obscure blues 78s. Whatever the case may be, its one of Faheys most adventurous and beautiful LPs. Reissued here on 180 gram vinyl in a deluxe tip-on jacket with an exact replica of the original 12 page booklet." -4 Men With Beards. "Shot live for TV by the legendary German music show "Rockpalast", this DVD represents the earliest example of a complete John Fahey concert performance, given on March 17, 1978. The multi-camera filming features detailed close-ups of Faheys playing style, giving Fahey fans a rare insight into what Pete Townshend has called the William Burroughs of the guitar. Faheys 1978 visit to Europe saw him in fine wild form, performing an 10-track set and, as an incredibly rare bonus, a short interview with the maverick iconoclast. All-Region NTSC-compatible DVD in CD digipak. Location: Audimax, Hamburg. John Fahey: vocals, guitar." -Blast First Petite. "Subtitled: The Fonotone Years 1958-1965. More than 10 years in the making, this box set features the earliest recordings and the first book ever written about one of the most influential guitarists from the 1960s and 70s, John Fahey. The five CDs feature 115 tracks, most of which are available on CD for the first time. The audio was remastered from Joe Bussards reel-to-reel tapes to achieve pristine sound quality. As for the accompanying book, the list of scholars who contributed essays includes Eddie Dean, Claudio Guerrierri, Glenn Jones, Malcolm Kirton, Mike Stewart and Johns childhood friend R. Anthony Lee. Byron Coley contributed a poem about John, and Douglas Blazeks 1967 interview with Fahey is published for the first time. Released 10 years after John Faheys death, this set puts one of the final puzzle pieces of Faheys career in place. Everyone can now hear where this guitar legend got his start -- a smoky basement in Frederick, Maryland. Co-produced by Dean Blackwood of Revenant, Glenn Jones, and Lance Ledbetter of Dust-to-Digital, this set is released with the support of Joe Bussard and the John Fahey Estate. The set is dedicated to Johns mother, Jane C. Hayes and the late musician Jack Rose. Includes a 88-page hardcover book with 5 CDs in a separate gatefold portfolio -- all housed in a deluxe slipcase." -Dust to Digital. "John Faheys final record released in his lifetime was the discrete album titled Hitomi . Previously available on CD only, Hitomi finds Fahey at peace with all his musical phases, working them together with a frail, fragile aesthetic supported by various reverb, echo and digital delays. Fahey creates a stark, naked sound which is 100% Fahey at its core. Important Records is proud to release John Faheys Hitomi album pressed on double 180 gram virgin vinyl and housed in a deluxe tip-on heavy duty gatefold jacket. This is a limited edition release." - Important. "The much-revered avant-garde guitarist John Fahey (1939-2001) incorporated influences ranging from folk, blues, and bluegrass to classical music, musique concrete, and noise in his primarily acoustic guitar-based compositions. Considered a legend by many, Fahey released upward of three dozen LPs in his lifetime. Relatively late in life, Fahey extended his so-called American Primitive approach beyond music, and into the creation of a substantial body of paintings. Painting on found poster board and discarded spiral notebook paper, working with tempera, acrylic, spray paint, and magic marker, Faheys intuitive approach echoes the action painters and abstract expressionists. His painting studio floated from motel bed to motel bed and eventually ended up in his home in Salem, Oregon. The same alluring and tranquilizing aesthetics that defines much of Faheys musical output are equally present in his paintings. 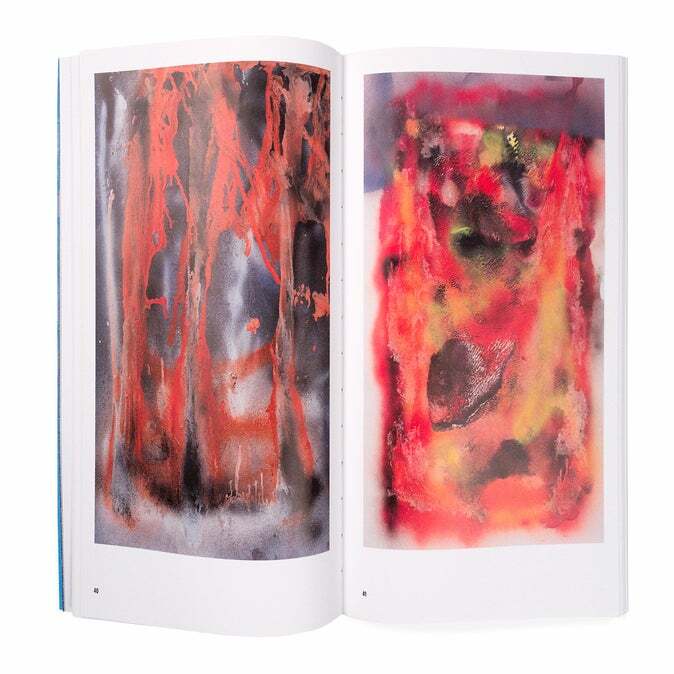 The first publication focusing on his visual output, John Fahey: Paintings, edited in collaboration with Audio Visual Arts (AVA), is illustrated with 92 plates and is accompanied by essays from Keith Connolly, founding member of No-Neck Blues Band, and the critic Bob Nickas." - Inventory Press. "Taped for broadcast on KSAN-FM, this remarkable 1973 set at the Record Plant in Sausalito, California, finds John Fahey, the master of American primitive guitar, at the peak of his mesmerizing powers, performing a series of lengthy medleys that incorporate a wide variety of influences and styles. Its presented here with rare images and background notes." - Keyhole. "One of acoustic musics true innovators and eccentrics, John Fahey was a crucial figure in expanding the boundaries of the acoustic guitar. He drew from blues, Native American music, Indian ragas, experimental dissonance, and pop, and was the first to demonstrate that the finger-picking techniques of traditional country and blues steel-string guitar could be used to express a world of non-traditional musical ideas-harmonies and melodies more readily associated with Bartok, Charles Ives, or the music of India. Fahey played with a fierce imagination and versatility, and while his idiosyncrasy may have limited him to a cult following, it also ensured that his work continues to sound startlingly original." - Table Of The Elements. "Back in print on vinyl at last, this is a 60s reworking of the songs on the legendary guitarists very rare 1959 self-released debut album, and also his first release on the Takoma label. In 1959 Fahey was just beginning to work out his unique experimental blues-folk acoustic fusion techniques, so heres a chance to see how it all started."